Thank you very much for all your comments on my previous post. I'm really happy to read them. I didn't imagine if you would leave so many comments, but I read it one by one every day. Thank you (* v *)!!!! 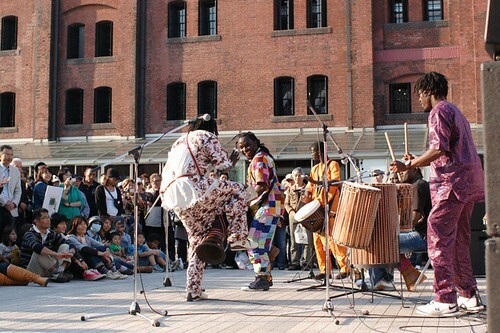 By the way, last weekend, we went to the Yokohama Jazz festival which was held once in a year. 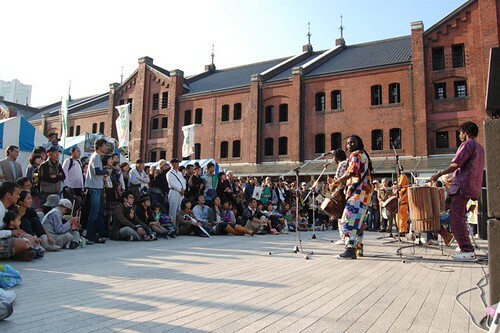 Before we found a Jazz live, I noticed there was a live of Senegal musician's also. I enjoyed it very much! They are so powerful. One of them broke the stick because he beat it too strongly. After the session started, there came lots of people hearing the strong beats. I enjoyed it very much under the beautiful sky. 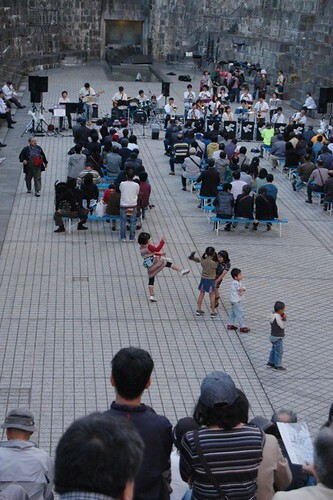 Then we went to the next place to listen to Jazz. It was also beautiful session. 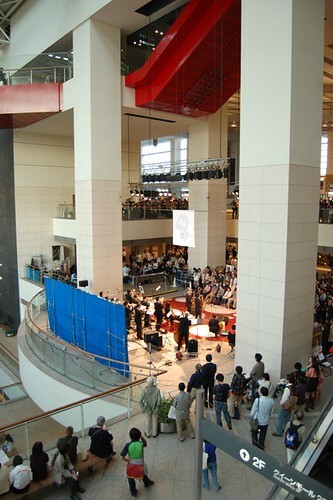 And the outside of the building, there was another stage. 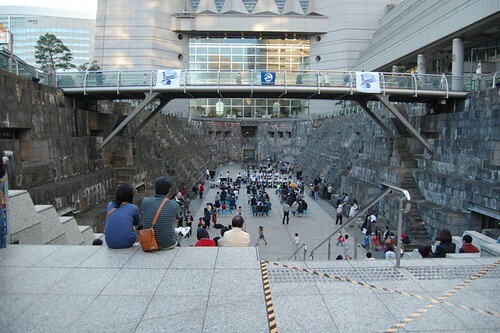 It was the space to repair big ship originally. So this is called dockyard garden. The garden is under this building. 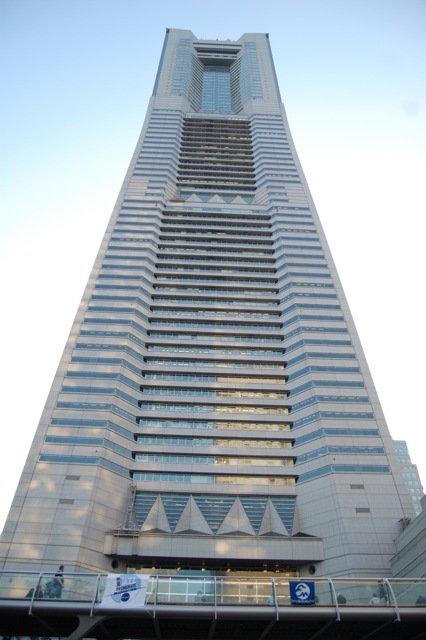 The highest building in Japan. I used to work in the 47th. floor before. I enjoyed the beautiful sight every day. Children didn't stay sitting. They were playing always and I enjoyed seeing them. 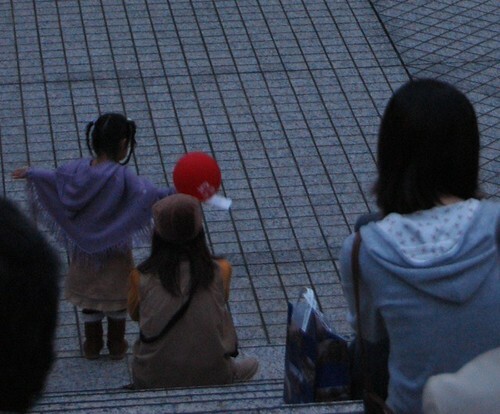 I found a cute girl and her mother. They both put cute boots. I think their clothes are very Japanese. 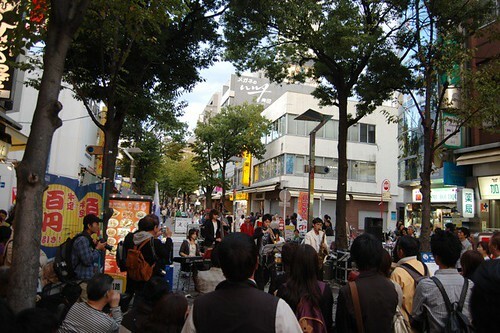 At the second day, we went to a street to listen to younger people's Jazz sessions. They were not good enough, but everybody enjoyed it. I saw some stages this day too, and enjoyed them very much. I don't listen to CDs so much, but I love listening to the lives. In this street, once a week some young people do the street lives in the night and when I worked near the street before, I used to go to listen to. Thanks for sharing. Now I know you once worked in the tallest building in Japan ! I love the dockyard garden - what an amazing space and a great re-use! Lovely pictures, I really enjoy reading about what you do in Japan!